A stunning ring in a gold finish handmade in 925 silver with filigree work. Truly a stunner, this ring is evergreen and can be worn anytime at any age. The ring was created for our Prism collection to give you the feeling of royalty. Also, available in oxidised silver, this can be matched with any outfit for an evening out. 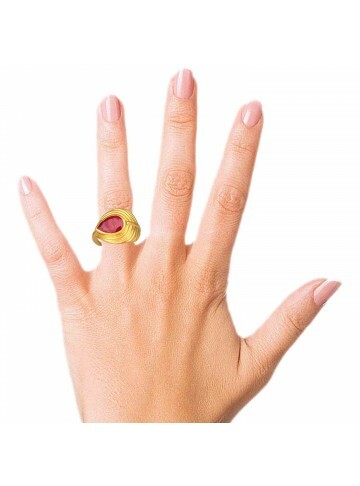 A striking red onyx stone with zircons on one side of the ring mounted on a thing gold plated silver band. A perfect ring for your loved one. Make a statement with this stunning purple amethyst that stands out in this beautifully made floral ring. We all love purple!